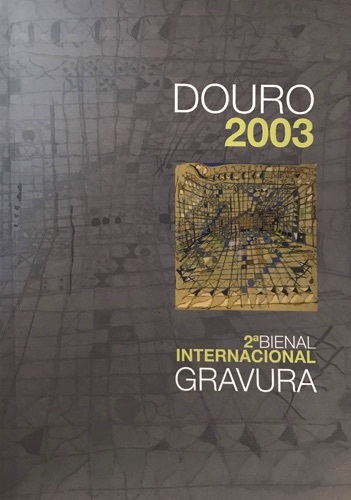 Description Softcover, 160 pages, Homage-Exhibition to Vieira da Silva, one of the Major figures of Portuguese art and more internationally recognised. Born in Portugal, Maria Helena Vieira da Silva studied at the Escola de Belas Artes of Lisbon. She moved to Paris in 1928, where she studied sculpture. She devoted herself to painting and engraving, studying with Fernand Léger (1881 - 1955). In 1930, she married to the Hungarian artist Arpad Szenes (1897 - 1985). Her works of art are situated between figuration and abstraction. Printing of 1000 copies in polychrome, more than 250 images. It also illustrates ithe individual exhibition of the Japanese artist Nogushi Akèmi, an exhibition of the Biennial Commissioners and an international exhibition of the Engravers Association of France (Paris).